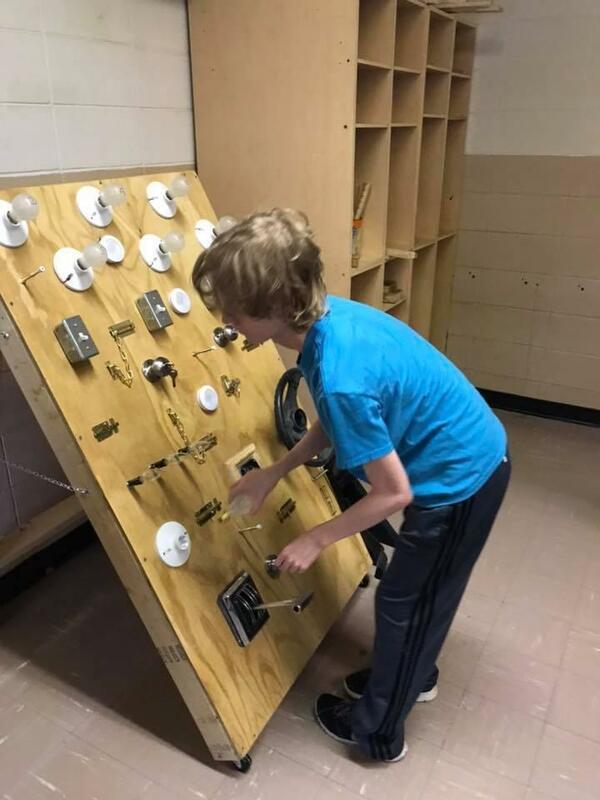 Chance M., an 8th grader at East Wilkes Middle School, was recently named a Broadcom MASTER in the 8th Annual Broadcom MASTERS Competition, the nation's premier STEM competition for middle school students. Nominations are awarded to the top 10% of projects in the nation. Chance was selected as a candidate by the North Carolina Science and Engineering Fair held on the campus of NC State University in March. He earned 2nd place in the Physics Division with his project entitled "Is It Just a Simple Dimple?" Candidates selected to compete in Broadcom MASTERS had to submit a detailed application about their project. Applicants were evaluated by a panel of distinguished scientists, engineers, and educators and were judged on creativity and originality, data analysis, and understanding STEM principals as they relate to the real world. "Broadcom MASTERS competition is the culmination of the national science fair season when hundreds of thousands of young people showcase their prowess and passion for STEM projects to educators and professionals who volunteer to judge their projects," said Paula Golden, President of the Broadcom Foundation. "The TOP 300 are the best-of-the-best and represent all science fair participants throughout the country." 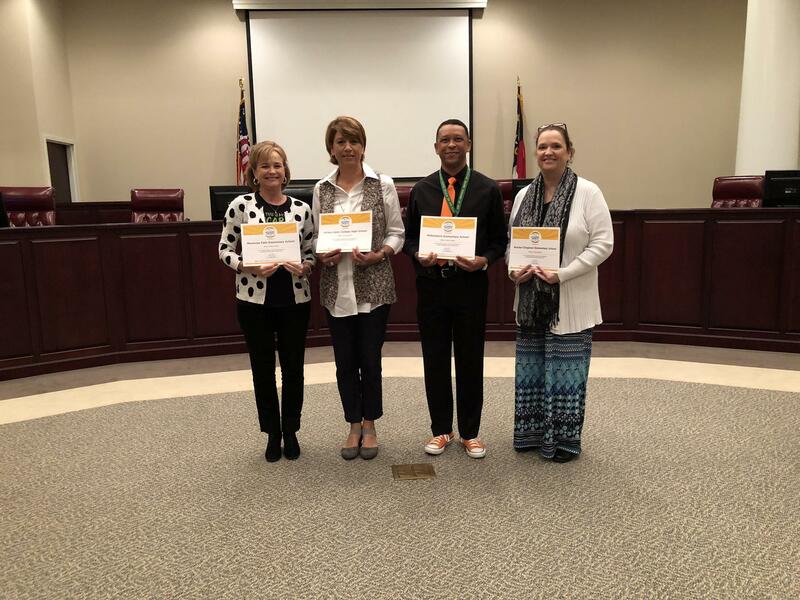 Congratulations to the schools that "Met Expected Growth" and "Exceeded Expected Growth" for the 2017-2018 school year! 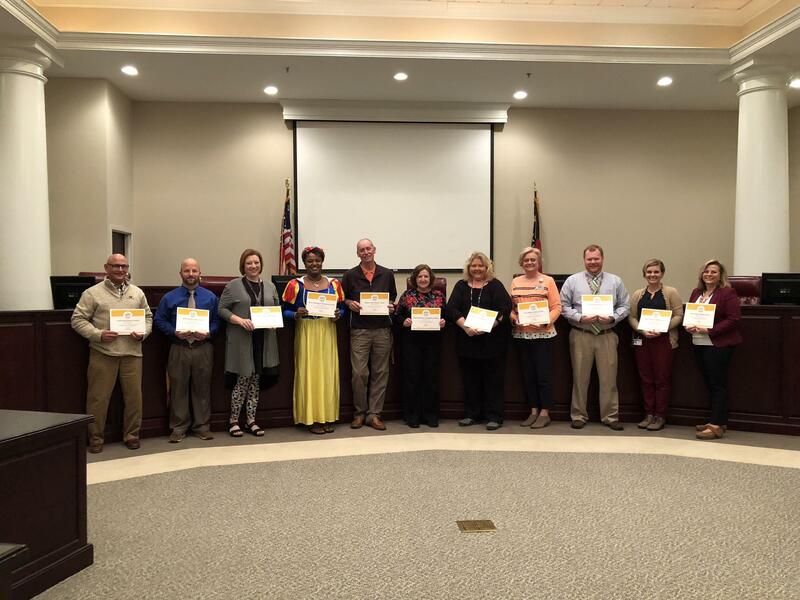 Principals of these schools accepted a certificate on Wednesday, October 31st from the State Superintendent, Mark Johnson's office! 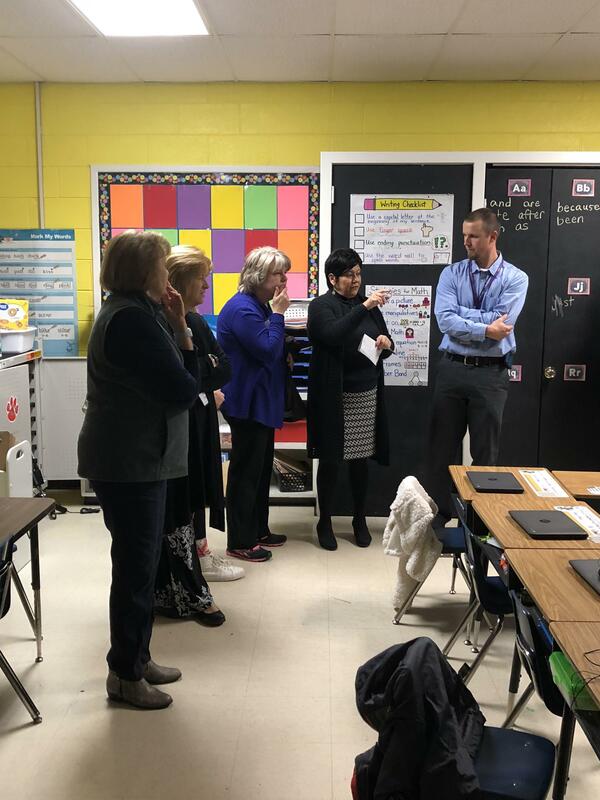 Exceeded Expected Growth: Moravian Falls Elementary School, Ronda-Clingman Elementary School, Wilkes Early College High School, and Wilkesboro Elementary School. Met Expected Growth: C.B. Eller Elementary School, C.C. 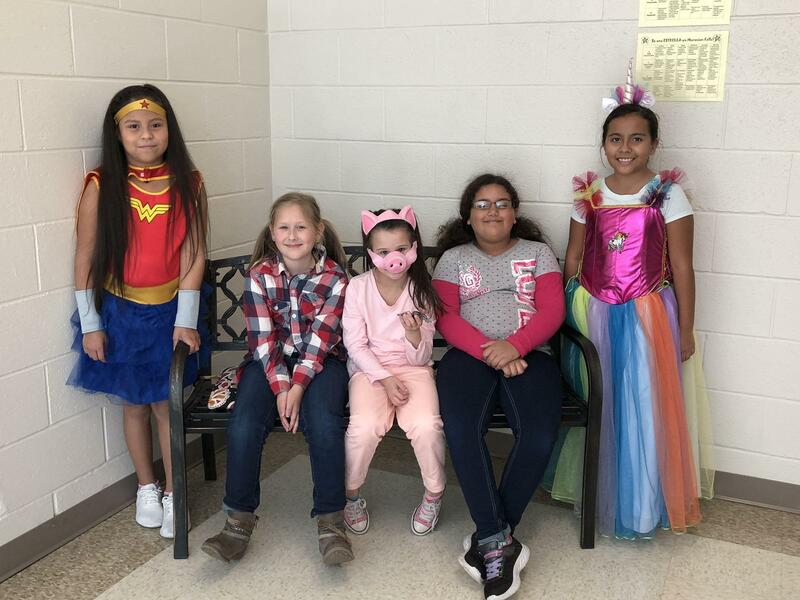 Wright Elementary School, East Wilkes Middle School, Millers Creek Elementary School, Mount Pleasant Elementary School, Mulberry Elementary School, North Wilkes High School, North Wilkes Middle School, North Wilkesboro Elementary School, Traphill Elementary School, West Wilkes High School, and West Wilkes Middle School. 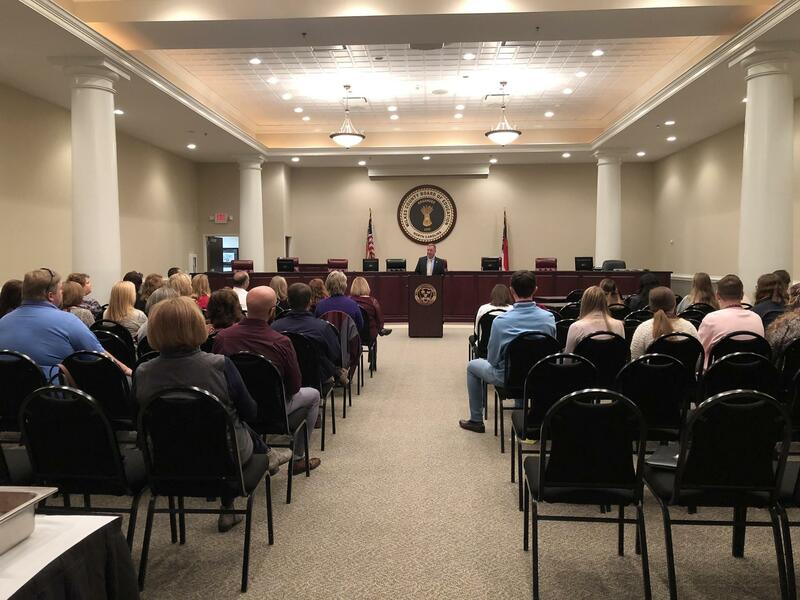 Wilkes County Schools hosted members of Wilkes Chamber of Commerce's "Leadership Wilkes" for Education Day on Wednesday, October 24th. 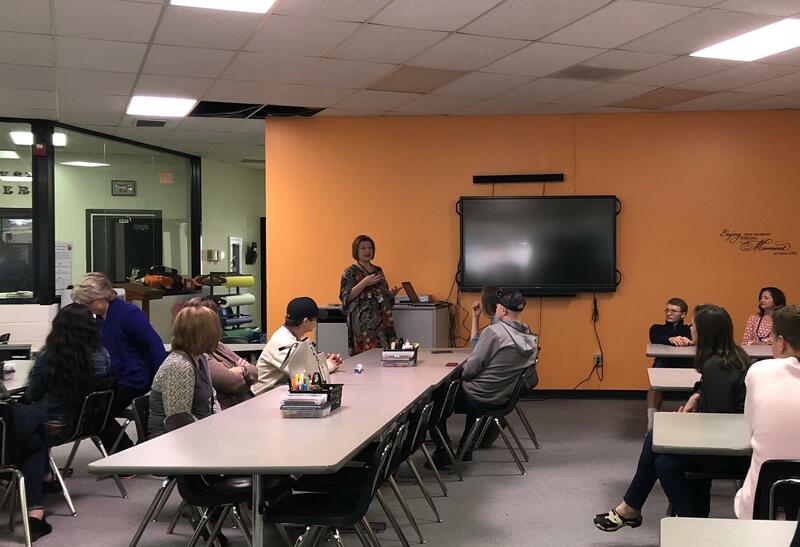 Members toured C.C. 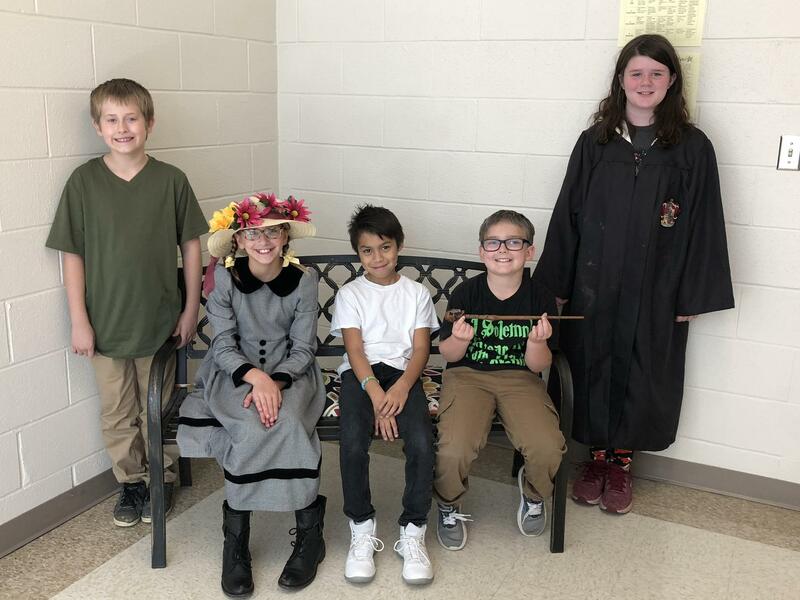 Wright Elementary, North Wilkes Middle, and West Wilkes High School. They were led by students of the UTA (United Teens in Action) program, and even got to ride an activity bus to each school! Congratulations to Coach Aaron Simmons from East Wilkes High School! 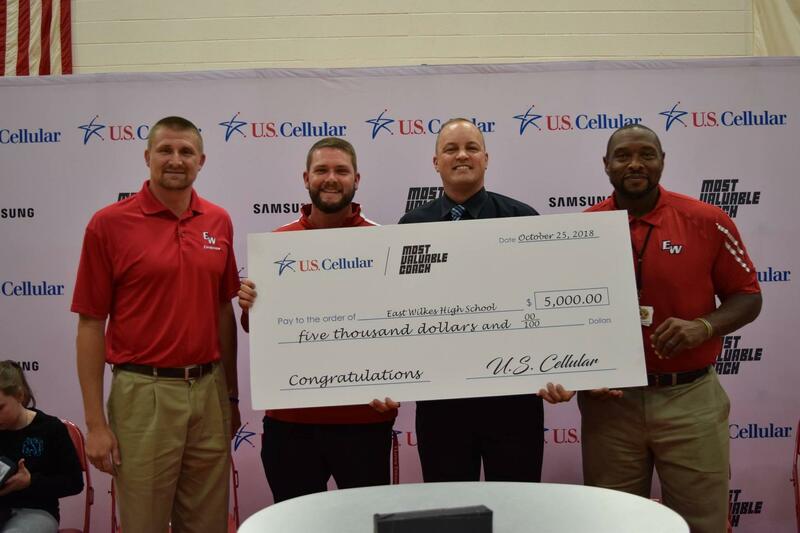 He made it into the top 15 of the U.S. Cellular Most Valuable Coach Award! 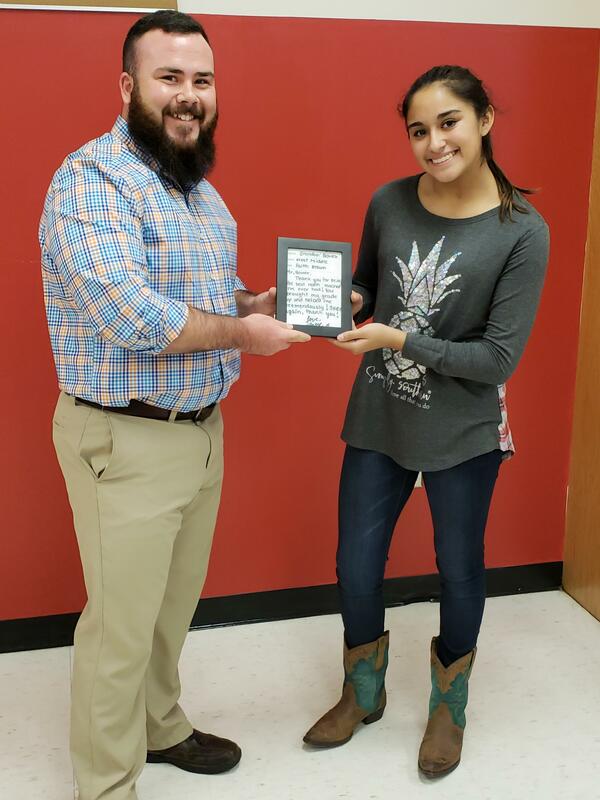 On October 25th, Mr. Simmons was presented with a $5,000 check for his school and a Samsung Note 9. He finished second in the first round of voting, and the second round of voting will run until November 13th. 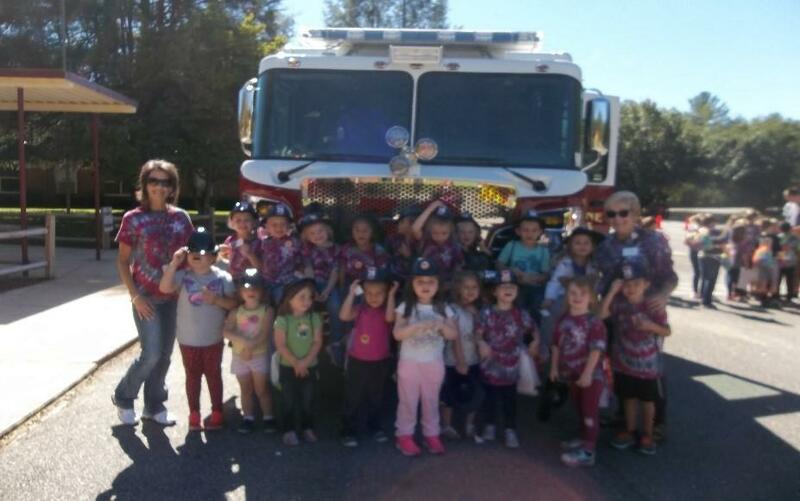 Boomer-Ferguson Elementary students practiced fire safety this month! 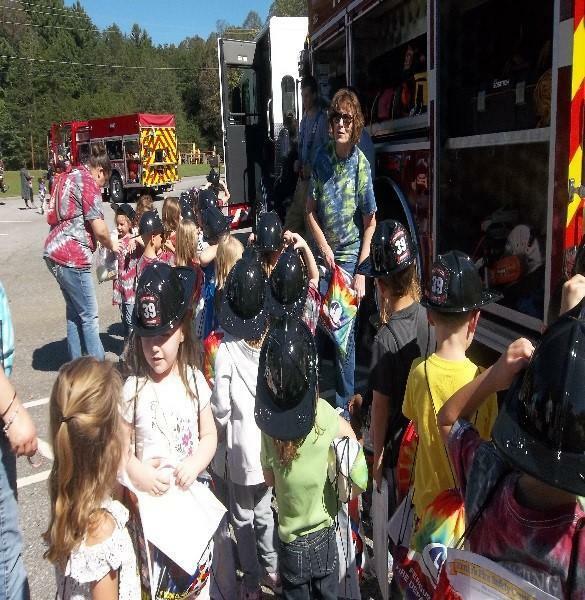 Thank you to Boomer Fire Department, Ferguson Fire Department, and Goshen Fire Departmentfor serving the community and providing Fire Safety Day to the school! Mr. Brandon Bower, 7th grade math teacher at West Wilkes Middle School, recently received the Belk Teacher Appreciation Award in the amount of $500. Faith B. a former student wrote the letter to Belk for Mr. Bower. In her letter, she thanked Mr. Bower for “Being the best math teacher she has ever had.” Congratulations, Mr. Bower! 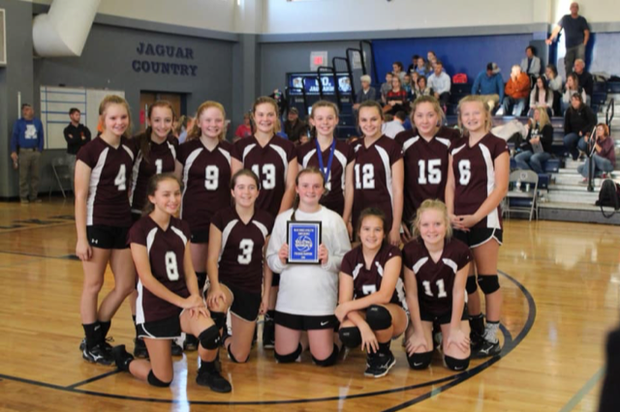 East Wilkes Middle School's 7th grade girls finished their season with a record of 11-1. They proved their heart and determination in the conference championship game where they defeated the only team they had lost to all year. These girls have grown so much as volleyball players and as team over the season. They are persistent and never give up. We are proud to be their coaches and look forward to next year! The 2018-19 EWMS Scorpion Football team took home the Superbowl Trophy on Saturday, October 27th, 2018. "Our regular season record was 7-0. 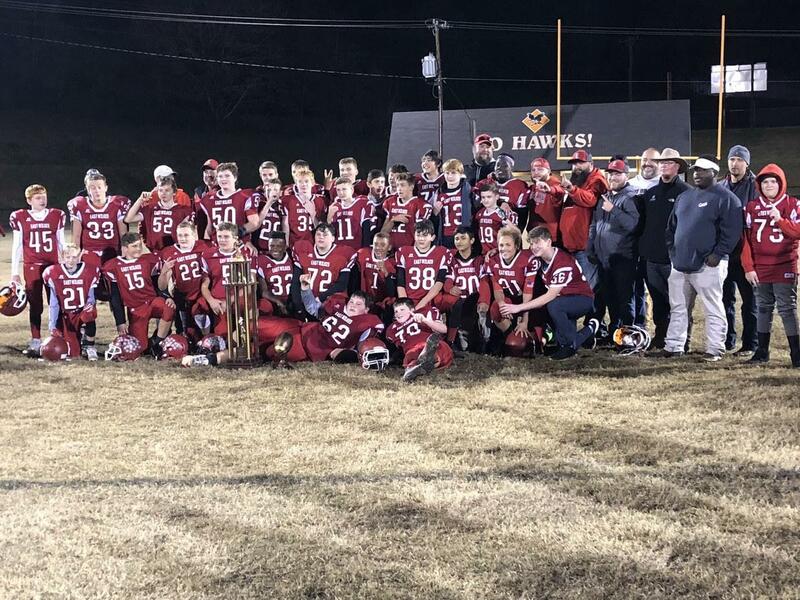 After completing an undefeated season, we won our first playoff game against Alleghany 36-6, sending us straight to the Superbowl against our rivals, the Central Wilkes Falcons, on October 27th, 2018. We arrived at West Wilkes High School where we laid a beating to the Falcons in true Scorpion form, winning the Superbowl 44-14 and ending the season with a perfect 9-0 record! 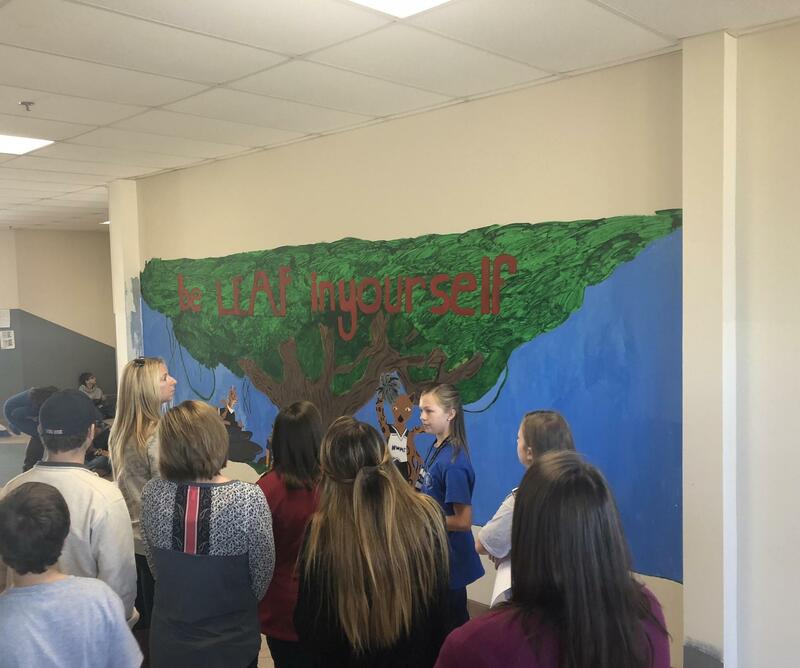 We would like to thank everyone for your support this year and your continued support for your Scorpions and future Cardinals," said students, Brody M. and Kamen S.
The last week of October, Moravian Falls Elementary celebrated Red Ribbon week to recognize the importance of living a healthy lifestyle. One of their theme days was "Saying no to Drugs Shows GOOD Character." 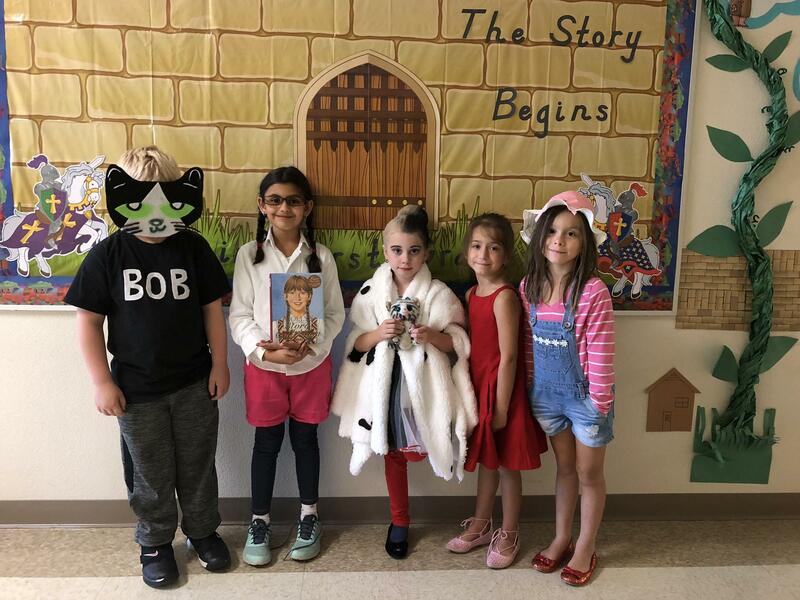 On this day, students and staff all dressed up like characters from their favorite books! The East Wilkes High School Cardinal Pride Marching Band, along with students from East Middle, performed in competition at Appalachian State University on Saturday, October 27, 2018. The band received 3rd placed in class 1A after their wonderful performance of “The Music of Billy Joel". 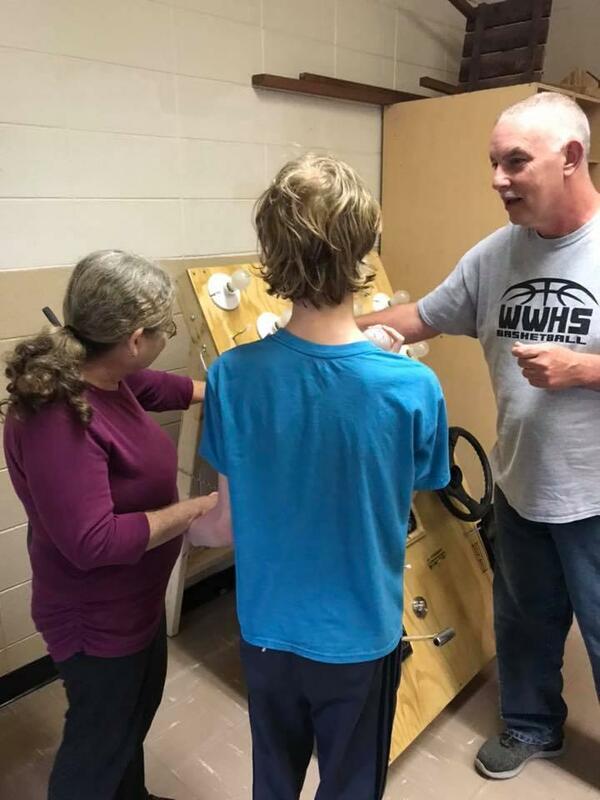 West Wilkes High School's construction class built a "busy board" for a family of Blue Ridge First in Families! 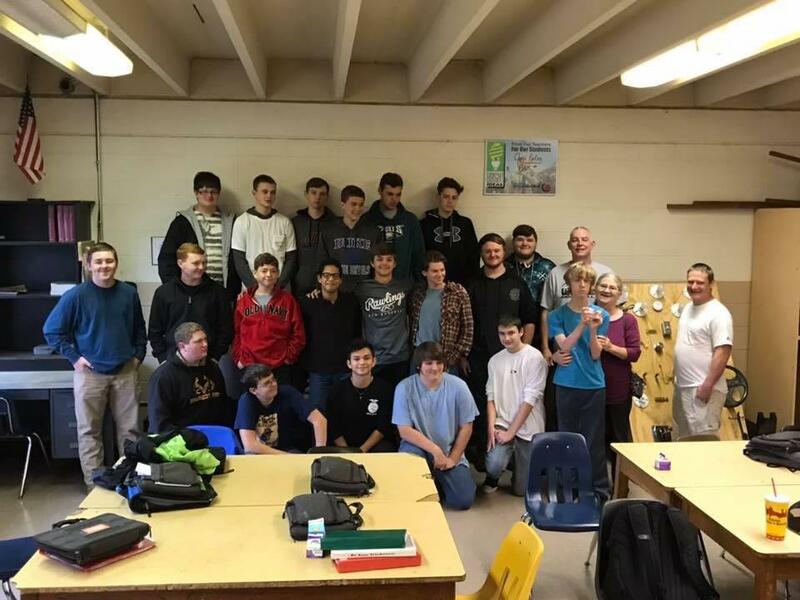 Under the direction of Mr. Chris Roten, this group of young men bought and paid for all the materials and built this all for free!